My review: I was provided a free copy of this book in exchange for an honest and fair review. This book is about Grace Angel, who is married to Jack Angel while she’s in her thirties. Grace’s sister Millie has Down Syndrome and after Millie graduates from her current school Grace will be responsible for her care and Millie will live with her. This is one of the main reasons why Grace hasn’t married yet, her previous boyfriends did not want to be responsible for Millie’s care. But Jack is different than all the other men, he really wants Millie to be a part of their lives. As the story unfolds, we are told parts alternating between the past and present, and towards the end of the book the past and present sort of overlap. Even from the first chapter the reader realizes there is something not quite right with the idyllic scene presented to us, though it takes a few minutes for us to put a finger on what’s wrong. As the chapters unfold though, our horror grows at what has happened to Grace’s life, and what may soon happen to Millie’s life as well. Overall I really liked this book. I have to warn readers though, this book will turn your stomach. The abuse that Grace endures is not for the light of heart. This is definitely a book you will not be able to put down, and the ending will have you jumping and screaming at the suspense. Your mind may need a shower after this one though, the villain of the story is devious and undeniably evil. I was utterly terrified at the end, and because I was finishing it at 12:30am, I was afraid to close my eyes for the next half hour after I finished it. This is a terrifying book but it was a great read with an awesome ending. I would definitely recommend! The bottom line: I really enjoyed this book. It was hard to get some parts of the story because of the abuse but the ending really knocked my socks off. I would definitely recommend! My review: I was provided a free copy of this book in exchange for an honest and fair review. This book tells the story of Morgan Fletcher, who was horribly disfigured years ago in a tragic family event. Since then he has hid himself away in his family home, trying to hide his face from the world. He realizes that his face causes fear and disgust and this is something he simply can not deal with. At some point he acquires Engel as his housekeeper, though how she came to find him he is yet unsure. And then after awhile children start showing up at the house, orphans who are in need of a home. And miraculously these strays seem to form a family together, and Morgan is grateful that his new family accepts him as he is and they are not frightened by his mangled features. And then Morgan meets his new friend Crane, a doctor who comes to care for one of the children when they are sick. Crane also is not frightened by Morgan and together they form a deep friendship. After awhile though Morgan starts to notice something different about the children that live with him. They don’t make very much noise (for children) and they always seem to disappear until someone is looking for them. They seem to already know all about Morgan and his estranged sister and the rest of their family. Morgan starts to question where they all came from and how they came to find him, hidden away in a country estate. Overall I thought this was a great book. It was mysterious and weird and interesting, just everything you could want in a book. I’m still not 100% sure that I understand everything that was going on at the end but I think that’s mostly because I had a lot of outside distractions going on, I might need to read the last like 20 pages again. And honestly I really want to discuss this book with someone else that’s read it because I do think there are some points that the author leaves open for interpretation and I would just love to get someone else’s thoughts on it. 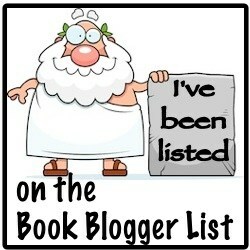 The bottom line: I would definitely recommend this book! It was fascinating and I am definitely going to be suggesting it for a book club pick, I think this one would be great for a group discussion. Mysterious and weird and just a great read!